Dell EMC this week unveiled storage, server and hyperconvergence upgrades aimed at enterprises that are grappling with new application types, ongoing digital transformation efforts, and the pressure to deliver higher performance and greater automation in the data center. 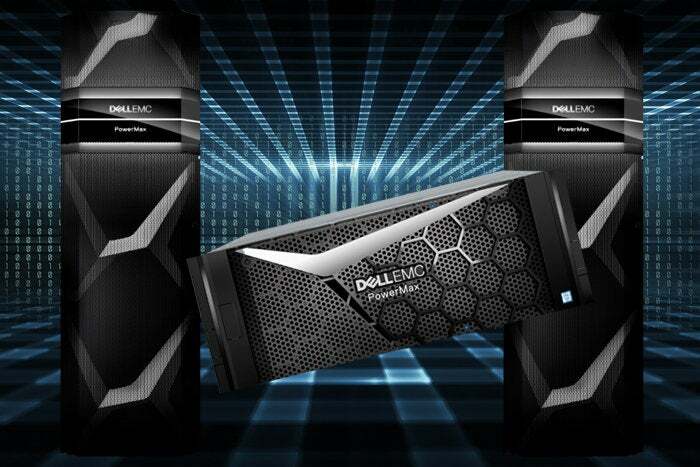 On the storage front, Dell EMC rearchitected its flagship VMAX enterprise product line, which is now called PowerMax, to include NVMe support and a built-in machine learning engine. Its XtremIO all-flash array offers native replication for the first time and a lower entry-level price. In the server arena, the focus is on speeding customers’ time-to-market with artificial intelligence and machine learning technologies. Dell EMC expanded its PowerEdge portfolio and announced bundled server solutions designed to accelerate AI-driven workloads. The company also gave an early look at its PowerEdge MX modular infrastructure, which will be available in the second half of this year. With respect to hyperconvergence, Dell EMC bolstered its VxRail appliances and VxRack SDDC systems with a goal of improving performance and making it easier for enterprises to deploy VMware-based hybrid or multi-cloud environments. PowerMax is the new high-end storage platform from Dell EMC. “We’re modernizing the VMAX architecture, introducing a brand-new design from the ground up,” said Sam Grocott, senior vice president of marketing for the infrastructure solutions group, in a briefing held in advance of this week’s Dell Technologies World conference in Las Vegas. Dell EMC’s PowerMax storage is designed to handle traditional mission-critical workloads, such as databases and ERP, as well as modern workloads that are sensitive to microsecond latencies. “What’s new is that we can now consolidate our next-generation applications, whether it’s real-time analytics use cases, AI, IoT, mobile applications and others, all within a single scale-out storage platform,” Grocott said. At the high end, PowerMax can deliver more than 10 million IOPS per second, a 50% response time improvement compared to VMAX, and bandwidth of more than 150 gigabytes per second – yielding a threefold performance density improvement, Grocott said. Behind the performance improvements is NVMe (non-volatile memory express), a host controller interface and storage protocol designed to reduce latency between applications and storage. PowerMax has been engineered with end-to-end NVMe to support NVMe-over-Fabrics and high-speed, low latency Storage Class Memory (SCM). “It’s the first time we’ve designed a system from the ground up for NVMe,” Grocott said. Also new to PowerMax is a real-time machine learning engine within the PowerMax operating system that uses predictive analytics and pattern recognition to maximize performance. The machine learning engine taps data from Dell EMC’s installed base of VMAX3 and VMAX all-flash capacity for its storage intelligence – which means it’s currently analyzing 425 billion data sets in real time across its customer base, Grocott said. “The machine learning technology enables us to ensure that we’ve placed the data on the right storage media, based on a large amount of intelligence data that we’ve gathered, both historically as well as real time, so we can optimize data placement across the entire system as we go forward,” he said. Another new ability is inline deduplication and enhanced compression, which customers can enable on a per-application level. “We can now do up to five-to-one data reduction across a PowerMax. That allows us to effectively store a much larger amount of information in a smaller footprint,” Grocott said. In other storage news, Dell EMC announced new replication features and a lower entry point for its XtremIO scale-out, all-flash storage array. In previewing Dell EMC’s PowerEdge MX modular infrastructure, which will be available in the second half of this year, Ravi Pendekanti explained the notion of kinetic infrastructure. It’s designed to allow customers to flexibly configure their IT infrastructure – making decisions about compute capacity, acceleration cards, memory, I/O connectivity and more – for different workloads. “It will give them the ability to independently go out and vector out in any of those areas,” said Pendekanti, who is senior vice president of product management and marketing for server and infrastructure systems at Dell EMC. Machine learning workloads require high performance and high capacity to manage and analyze structured and unstructured data. To that end, Dell EMC is expanding its PowerEdge server lineup with two new four-socket servers: the R840 and R940xa. Both are designed to accelerate AI-driven applications and other data-intensive workloads – but they’re built to tackle different performance bottlenecks. “One thing we’ve realized is that the concept of having general purpose servers, which can be used across different workloads, doesn’t necessarily give our customers the performance that they need and expect,” Pendekanti said. The R840 is designed for in-database analytics. It’s optimized for traditional data analytics workloads and it supports up to 24 direct-attached NVMe drives to minimize latency and speed data transfers. Dell EMC also announced a tighter relationship with Intel that’s aimed at streamlining customer adoption of AI and machine learning. “Ready Solutions” is Dell EMC’s term for validated hardware and software bundles that pre-integrate partner technologies. The Dell EMC Ready Solution for HPC, for example, is built on a PowerEdge R740 server and combines Intel Xeon Scalable processors and customizable Intel FPGAs. Dell EMC announced that it’s joining the Intel AI Builders program, which brings together different tech partners to develop solutions using Intel AI products. “We are building out Ready Solutions which enable our customers to quickly and rapidly deploy the machine learning and deep learning solutions without having to do lots of legwork on their own,” Pendekanti said. Adoption of hyperconverged infrastructure (HCI) systems – which combine storage, compute and network functionality in a single virtualized solution – are on the rise. Global HCI system sales exceeded $3.7 billion in 2017, up 64.3% from 2016, according to IDC. The research firm predicts the HCI solutions market will reach $10.3 billion by 2022. Dell EMC’s entries in the HCI world – its VxRail appliances and larger VxRack software-defined data center (SDDC) – have been co-developed by Dell EMC and VMware and are integrated with VMware’s vSAN and vSphere software. Tight coupling through joint engineering with VMware has been an advantage for Dell EMC, and new developments are designed to strengthen that advantage. New VxRail advancements include the adoption of NVMe cache drive options, which provide lower latency and higher performance than existing SAS-based cache drives; Intel Xeon Scalable Processors, which can support up to 1.5TB of RAM per CPU socket for twice as much memory; NVIDIA Tesla P40 GPU accelerators for high-end graphics deployments; 25GbE networking; and VxRail Manager Events consolidation and viewing in VMware vCenter for simplified management. Dell EMC VxRack SDDC, which is based on VxRail hardware, now supports the latest PowerEdge servers designed for HCI deployments. Support for NVIDIA graphics processing cards also has been added. VxRack SDDC is integrated with the latest VMware Cloud Foundation (version 2.3), which enables integrated cloud management and automation for on-premises IT-as-a-Service (IaaS) and provides heterogeneous server support.